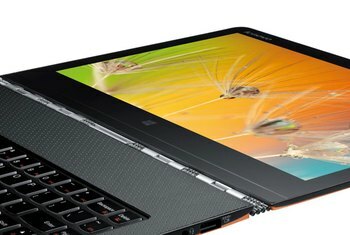 The Blade 2015 has an ultra thin body with a 3200 X 1800 pixel resolution touch screen. 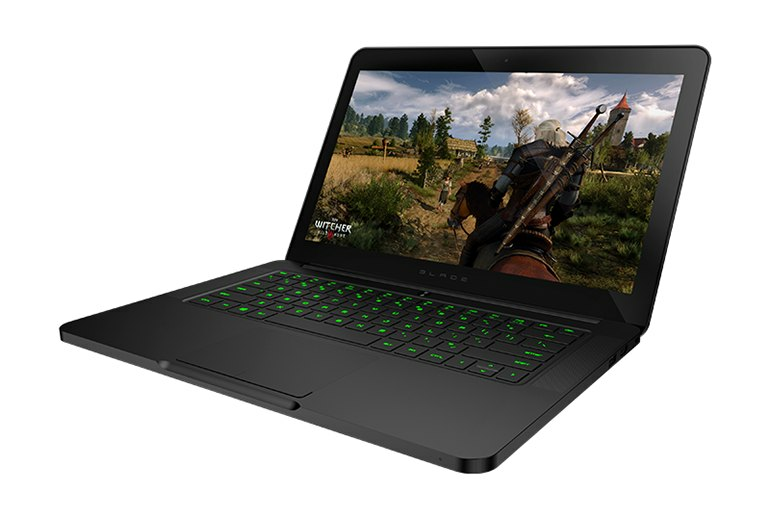 It comes with a 3GB NVIDIA GeForce GTX 970M GPU, 16GB of RAM, and a 256GB solid state drive. The super-responsive keyboard is gamer ready. The back can get hot, and the fans can be loud while trying to keep it cool. There is no SD card slot. The base model is expensive and the 3200 X 1800 pixel display may need to have the resolution dialed back for some games. Go big or go home with the Razer Blade 2015 gaming laptop. 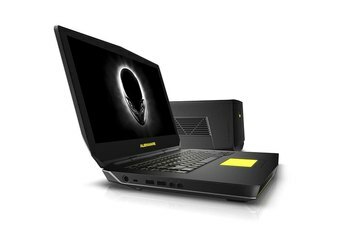 The thin and light Blade is powered by an Intel 2.6 GHz Core i7 processor and comes with 16GB of RAM and a 256GB solid state drive. 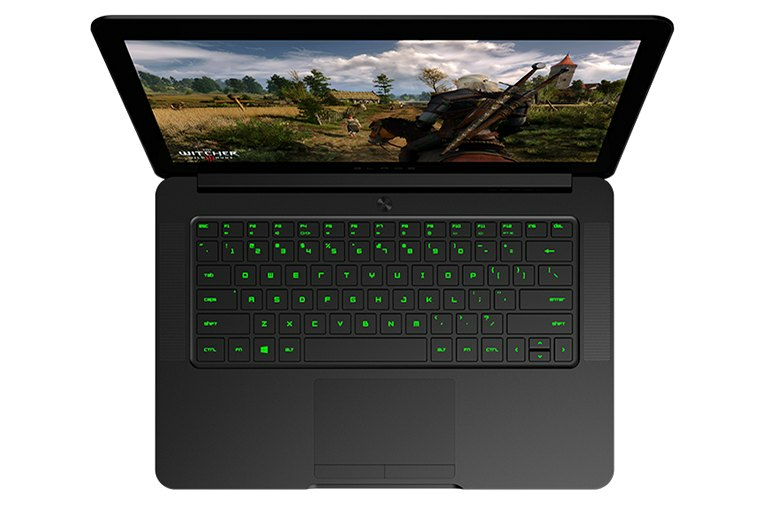 The 3200 X 1800 pixel 14-inch multi-touch screen is driven by NVIDIA’s GeForce GTX 970M graphics card. The black aluminum chassis measures only 0.7 inches thick and weighs in at 4.5 pounds for easy portability. 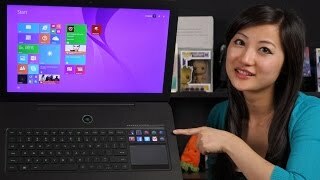 This laptop is updated annually, and the 2015 Razer Blade has better performance and battery life than its predecessor. 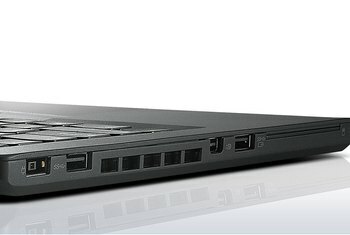 The $2200 price tag includes three USB 3.0 ports, HDMI output, and a 2.0-megapixel webcam, but no SD card slot. OS navigation is very fast and programs launch almost instantaneously on the first try similar to newer Ultrabooks. Power Saver mode is a tad bit slower, but speedy nonetheless. The Razer Blade has been one of the best slim gaming laptops for a while, thanks to its successful combination of power and portability. 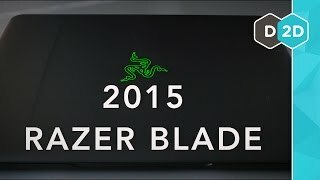 With a new processor and graphics card, the Razer Blade (2015) delivers better graphics performance and longer battery life than its predecessor, fixing two of the bigger problems I had with the 2014 Blade. Whether it's for gaming, multimedia enjoyment, work or all of the above, the Razer Blade is a fantastic choice if you need high performance, but don't want to sacrifice mobility to get it. 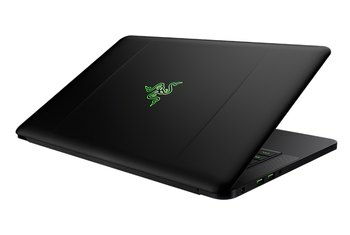 If you want a gaming laptop, and you want one that’s actually portable, you don’t have many choices outside of the Razer Blade. The first time we set the Razer Blade onto our lap we were pleasantly surprised by its lightweight and svelte form factor. 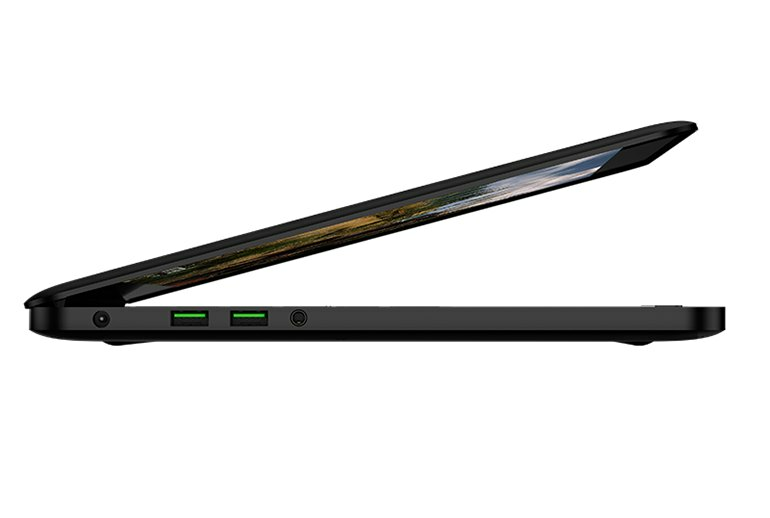 This is one seriously thin laptop, and its weight is well-balanced. If you've been lusting after Razer Blade laptops for years, but have had too many reservations to pull the trigger, consider pulling it now. 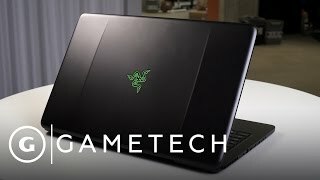 2015 Razer Blade Review - (GTX 970M) The Best Gaming Laptop?